Andreas Vesalius is one of the famous anatomists from the Renaissance period. His development of anatomical understanding involved risk taking: he dissected bodies. 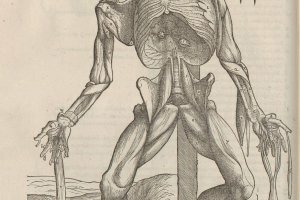 Vesalius’ work included highly detailed drawings of the inner workings of the human body. These showed the relationship of muscles, sinew, arteries, veins and the organs. In this worksheet, students are provided with a biography of Vesalius. The 1-9 GCSE relevant resource goes on to ask students to consider the ways in which the work of Vesalius challenged the existing beliefs about medicine. This worksheet can be used as a standalone resource. It provides students with all of the information required to answer exam style questions on Vesalius. It can be used alongside materials relating to people such as William Harvey to build a picture of changes across Europe at the time.